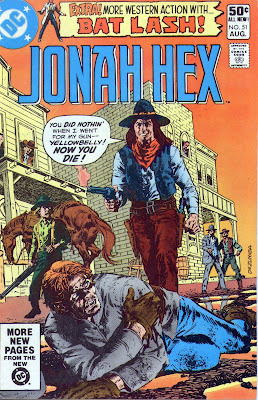 This is one Brave & Bold I've never seen reprinted. Starman and Black Canary up against the Mist. I'd be all over that like white on rice. Ya know what? I'd like to see a series called something like B&B Redux. They get modern day writers & artists and all they get to know are the heroes and the villain. 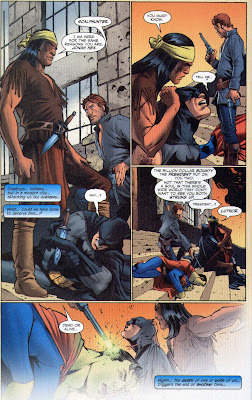 Without any prior knowledge of the original story, they write a modern-day version of the team-up. 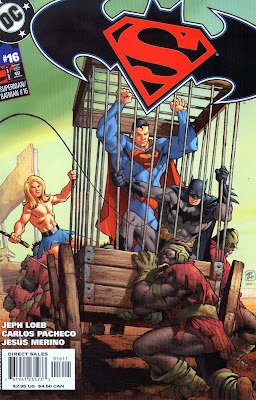 Then DC publishes them both in one issue for comparison. 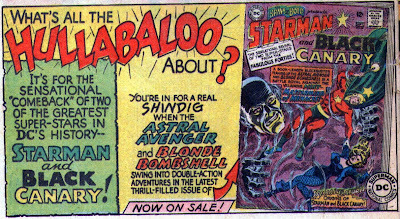 THAT would be my definition of HULLABALOO!!! 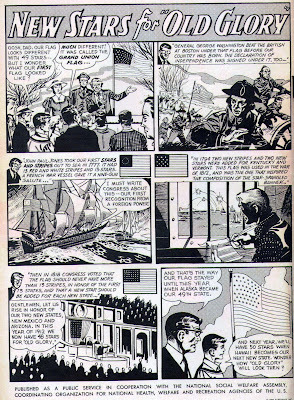 ... To teach you about the flag and how Hawaii obviously snuck into the Union a year early. Sneaky Coconut-eaters! Sometimes you get a whole page of ads, tiny ads that are just text, 3 dozen on a page. 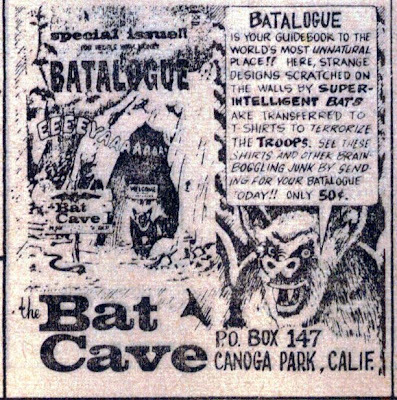 This was in an old partial copy of Nick Fury and his howling commandos and it really caught my eye. 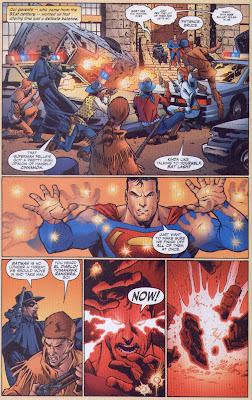 "Super-intelligent bats" I want to see THAT in Final Crisis. Do I even HAVE to say anything with this one? These compilation books were fun to buy, you were able to pick up stories that you didn't get the first time when they were printed about 8 years prior. They also tried to get some sort of theme going. 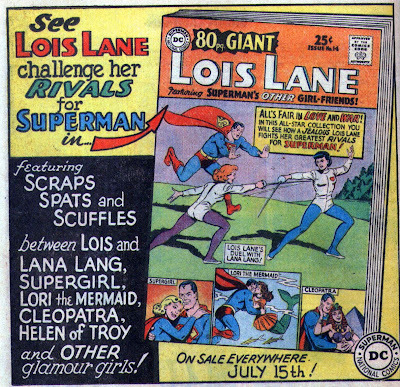 This one is all about Lois battling other women that Superman would be attracted to, ya know the kind of girls I'm talking about. Redheads, mermaids, dead Egyptian chicks, his COUSIN!?!?! 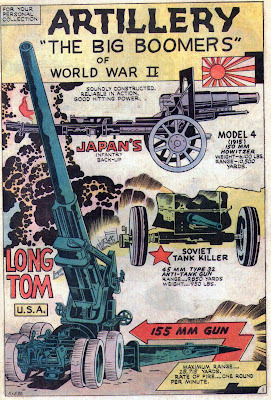 ..to allow Jack Kirby to school you on weapons. 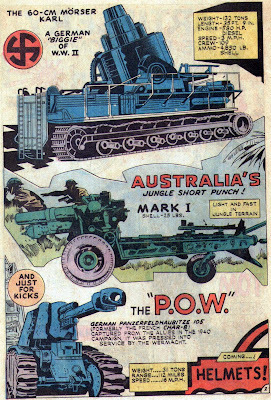 Everyone knows the best weapons are Kirby Weapons! "even if you can't tell a guitar pick from a shovel"? "Hey, honey? I think I discovered why it took me so long to plant those crape mertyls a couple of weeks ago! Yeah, I was using a guitar pick!" 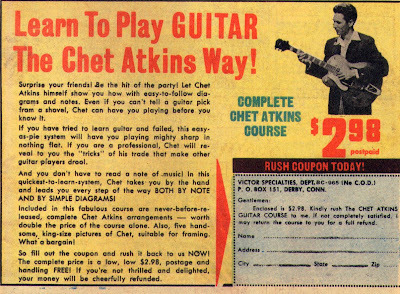 On the plus side, I have great pictures of Chet Atkins in my scrapbook. 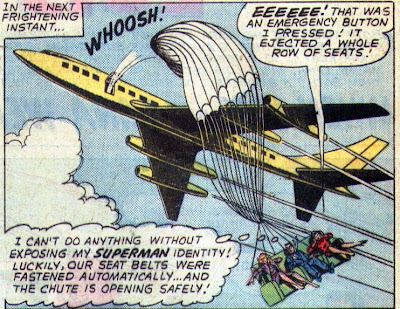 Ahhh, Lois Lane, Lana Lang, & Clark Kent are traveling on an "Ultra-modern airplane.. equipped with every advanced safety device." The airplane can automatically put out fires, serve snacks, give you your paper. Yes, everything is push button on an ultra modern airplane. And of course, they explain everything to you. But what if you found an unmarked button right next to your seat? What does it do? "Incurable Curiosity?" 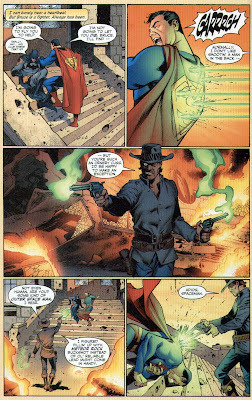 I would have thought the button would turn on the light, lay my seat back, call the stewardess, deliver my copies of Jonah Hex to me, rewrite Final Crisis. 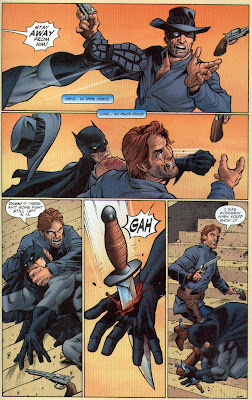 Something that any button would do. 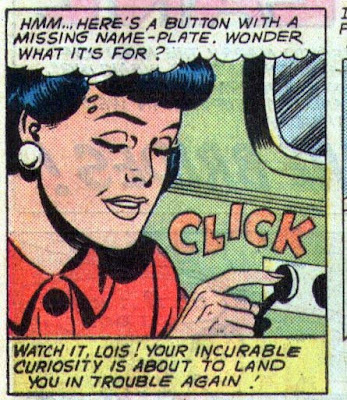 I don't see where there is "Incurable curiosity." But then again, I didn't expect it to.. ..shoot an entire friggin row clean outta the airplane. But that's the English for ya. Needless to say "Ultra-Modern Airlines" went bankrupt due to lawsuits. 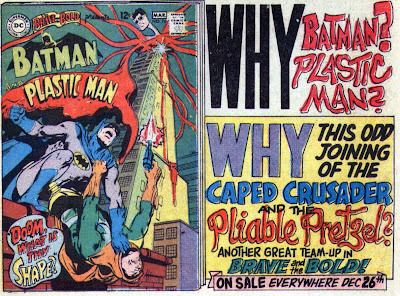 Brave and Bold with Batman and Plastic Man. I actually HAVE this book. I bought it in Joliet Illinois at Tops department store. They had a comic book vending machine! Anyway, the various fonts literally slap you in the face and get you to pick up this book. 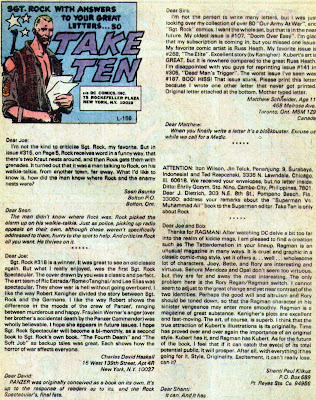 Again, they're asking questions which seems to be the way DC got you to buy teh book to learn the answers. Okay, Sally bellyached about not being able to sell GRIT! 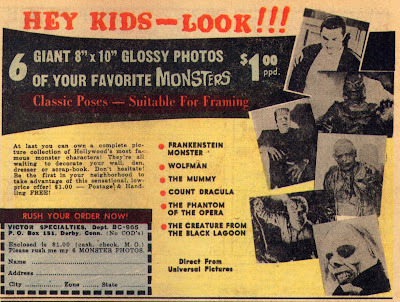 so this offer is open to all kids. 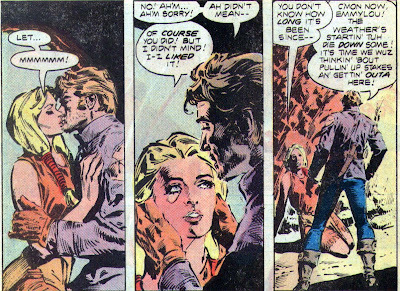 I know that she can't wait to decorate her scrapbook (since her husband thew a fit over all those pictures of Hal Jordan's buttocks in her den). 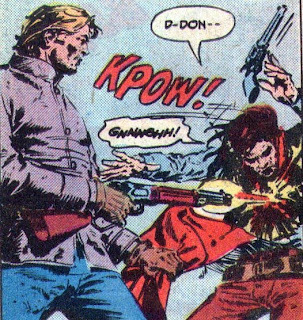 The 4th wall, or more specifically, breaking the 4th wall, has always intrigued me. Sometimes it can be cheesy, sometimes it can get an EPIC FAIL!, but when it works, it works wonderfully. 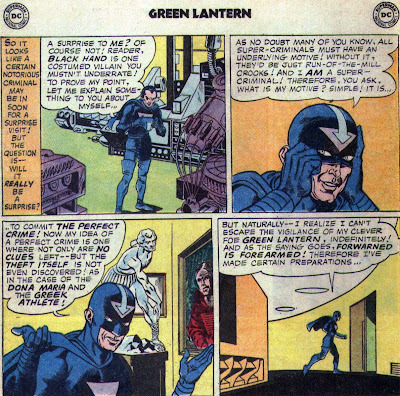 Observe this scene from Green Lantern #39, 1965. 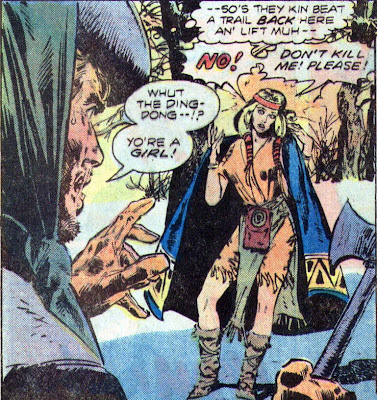 Black Hand decides his plan is soooo great that he has to tell us about it. It's the 60's so it has to be cheesy. By the way, this is the only Green Lantern book that I have ever owned. From Whither Comest Thou Moniker? Tons of people have been asking me "Dwayne, what does 'the canoe guy' mean? 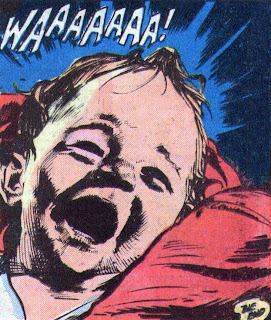 Isn't that a strange, and even inappropriate (not to mention disquieting) label to slap upon yourself? 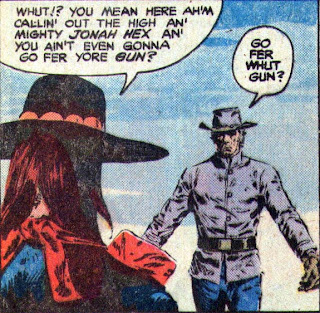 It has nothing to do with comics or Jonah Hex. Please, pray tell, from whither comest thou moniker?" It's a long story that can be understood by visiting my other blog that I had long before this one. Everything you need to know is here, just read from the bottom up. 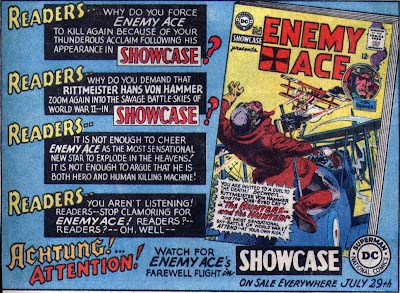 The reader actually FORCES Enemy Ace to kill! I LOVE how this ad is actually trying to get kids to stop reading this book. Reverse psychology works every time. 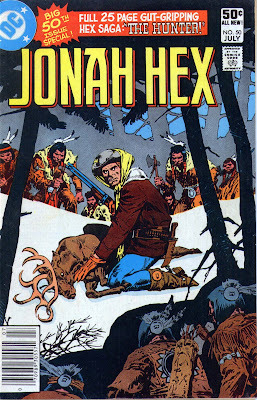 Now, just remember, I don't want anybody buying me the new Jonah Hex action figure. ..to tell you all about... Please note that Mass. has been leading the way since 1869. Just remember, if ya throw trash in the water, you're the one that needs to dig it out. 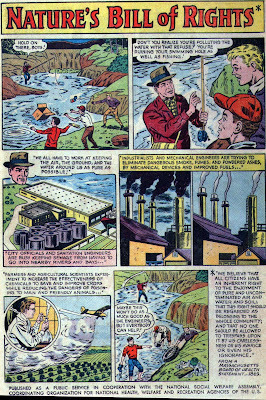 It also makes me wonder what kind of boring town these kids live in where throwing trash in the river is considered fun? Ya say that prices got ya down? You're needing some extra folding green to get ya through the month? Then you need a paper route! I know that the Intra-web (now WITH tubes) has been cutting into newspaper sales, but you need to go with a national paper. You need to sell a paper to pizzazz, one with moxie, a paper with GRIT! 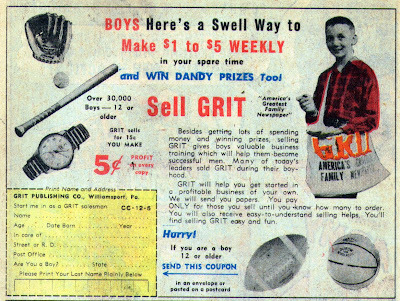 Sell GRIT and you can buy four more gallons of gas a month. That's an extra 20 miles in your Hummer! That should get you to the Indian Casino so you can score some REAL coin! But I draw your attention to the last letter. 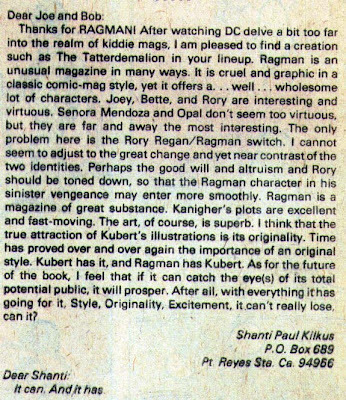 Yeah, the one talking about RAGMAN!